The Disney fan army can’t get enough of Mickey Mouse and his magical empire. 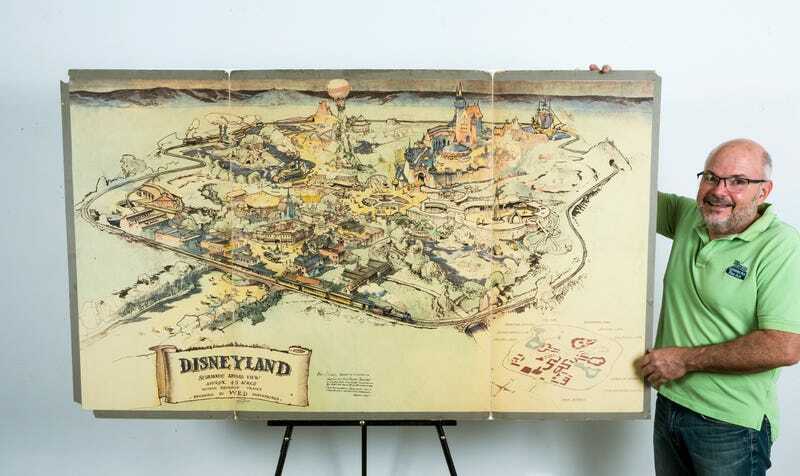 That’s why its no surprise that someone spent $708,000 on a hand-drawn map of Disneyland in California, conceived by none other than the MickeyMaster himself, Walt Disney. Disney and artist Herb Ryman drew the map one weekend in 1953 as part of a presentation for investors—now, the priceless piece of history will sit in someone’s living room, presumably surrounded by Thomas Kinkade paintings and Epcot souvenirs.